In this short video the most important aspects of a fishing trip to Gardens of the Queen, Cuba is discussed. Jardines de la Reina is a remote archipelago of islands, lying some 50 miles of the southern coast of the Cuban mainland. This is a protected marine area, with a limited number of catch and release anglers, divers, and eco-tourists allowed to visit yearly. The habitat here is pristine and untouched. As a result, all the species of shallow water flats species flourish, including Bonefish, Permit, Tarpon, Barracuda, Jacks and Snapper. 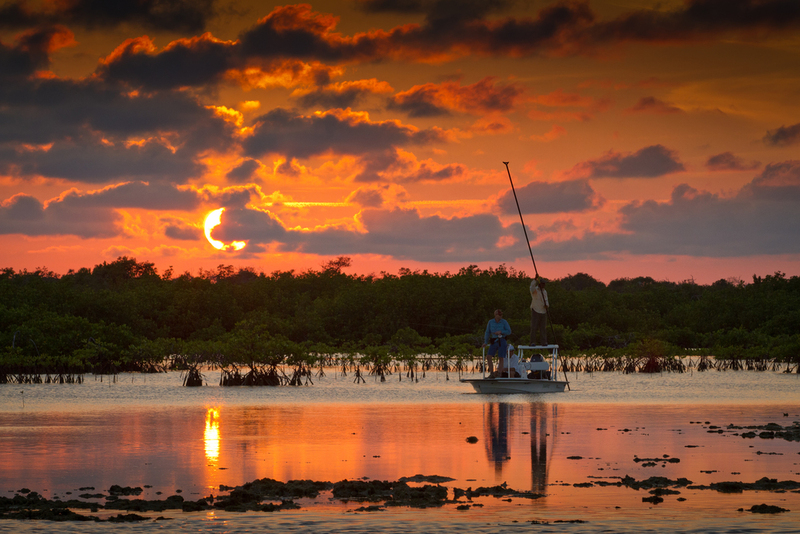 With a total fishing area greater than the Florida Keys, anglers are given a large area per skiff to fish, ensuring that they rarely see other fishermen. In fact, Avalon only allows a maximum of 15 skiffs fishing JDR at any one time. Fishing is consistent throughout the entire year. While Tarpon under 30 pounds are always available, the larger migratory fish arrive in April and stay through the end of June, and sometimes in to July. September is generally a month reserved for boat maintenance and guide vacations due to hurricane season. Getting to Jardines de la Reina is more complicated than other destinations within Cuba, given its remote location. With the interesting town of Camaguey now having flights from outside the country, guests can make a short trip directly to the port of Jucaro to meet their yacht. For guests arriving in Havana and overnighting, they have an early wake up call to then board a bus for a 6 hour ride across the country. After a few stops for breaks, and lots of time to view life in Cuba out the window, the bus arrives at the port of Jucaro. There, guests either join the boat they will be staying on, or a transport boat if staying on the Tortuga, and travel another 3 to 4 hours to the fishing grounds. Standard packages here include roughly 5 1/2 days of fishing. The floating lodge, the Torguga is the original lodging for JDR, but the outfitter now has several yachts available for groups ranging in size from 6-12 anglers. Each is similar in that they have long fishing days, great food (relying heavily on fresh seafood of course), first class skiffs, and experienced guides. Please take your time in looking at all the different accommodations below, so that you might learn which is best for you and your group.